From the roots of the ancient silk road to its modern-day revival, this itinerary takes students to the country’s three most important trade cities throughout the centuries, Shanghai, Xian, and Beijing. This immersive look at China’s story of economic growth includes Q&A sessions with cutting edge companies, visits to manufacturer companies, as well as lectures from seasoned businesspeople in the market. As well as visiting amazing historical sights and enjoying outdoor activities, students will tour local companies and a factory and see the dynamism of the world’s fastest-growing economy first-hand. Our school trips are completely customizable and can be tailored to meet your requirements. Additional destinations available for this theme include Hong Kong, Shenzhen, Guangzhou, Suzhou, Hangzhou, Chengdu and Tianjin. Speak to a specialist now to find out more. Arrive in one of the world’s most developed cities and explore two of its most famous areas, People’s Square and Nanjing Road. Pay a visit to the Shanghai Museum, home to China’s leading collection of historical pieces. After a trip briefing, end the day with a delicious welcome dinner. Tour around the offices of Shanghai Volkswagen, the oldest Sino-foreign enterprise to date! Venture into the financial districts for a trip to the top of the Financial Centre. 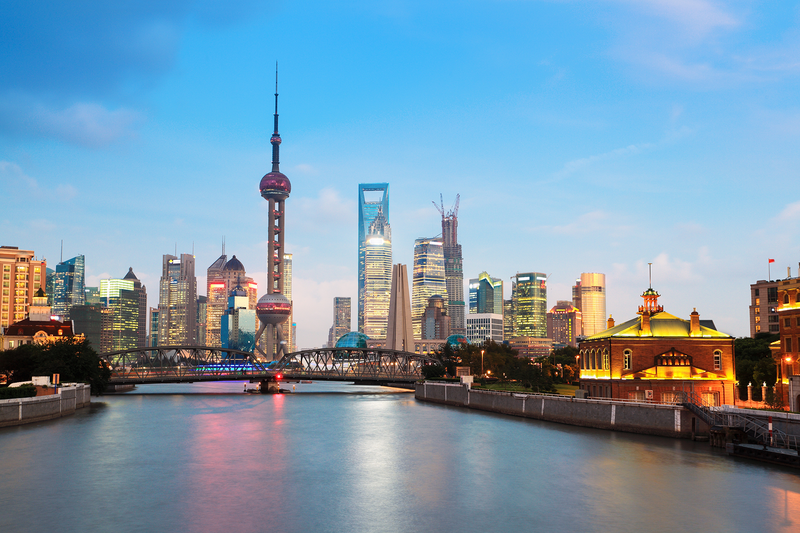 Walk around The Bund as you learn about the city’s trade history, before taking an evening cruise along the river. Pay a visit to a manufacturing hub where you have the opportunity for a Q&A. 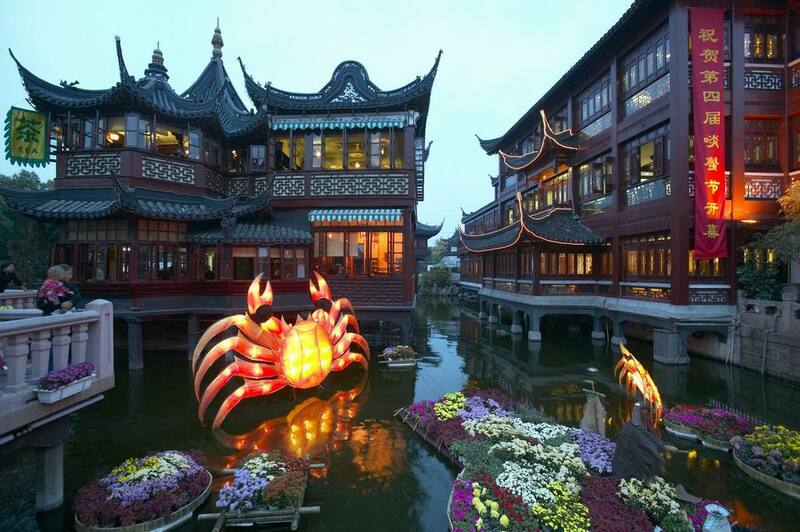 Try Shanghai’s famous Xiao Long Bao dumpling, before encountering Old Shanghai as you visit the Yu Yuan Gardens and the City God Temple Bazaar, where you can see the local markets come alive. Check out the world’s biggest Starbucks where you’ll see how they make their signature blends! Stop at Shanghai Urban Planning Museum and learn how the world’s highest urban population functions. Burrow underground to the Propaganda Poster Museum, before entering the trendy arts district in the Former French Concession. Board your first night train as you head to Xian! Take a trip outside the city to see the remarkable Terracotta Warriors. Head back for a tour around the historical Muslim Quarter market where the Silk Road traders first settled in China. Sample the unique flavours of Hui Muslim food, before taking a stroll to the Drum and Bell tower which is beautifully lit at night. Visit a children’s home outside the city, where you can interact and play English learning games. Stop by a local museum and try your and at calligraphy. Tick off an absolute most for your visit as you zoom around the ancient city walls by bike. Board the night train as you head to the city’s capital. Observe first-hand how businesses work in the fasted growing economies with a visit to a tech/app company. Take a tour of the offices and have the opportunity for a Q&A. Get your historical fix as you explore Tiananmen Square, the Forbidden City and Jingshan Park, before sampling Chinese delicacies at Wangfujing Night Market. Finish the day with a delicious Peking roast duck dinner. Bring ancient history to life with a visit to a secluded section of the Great Wall. 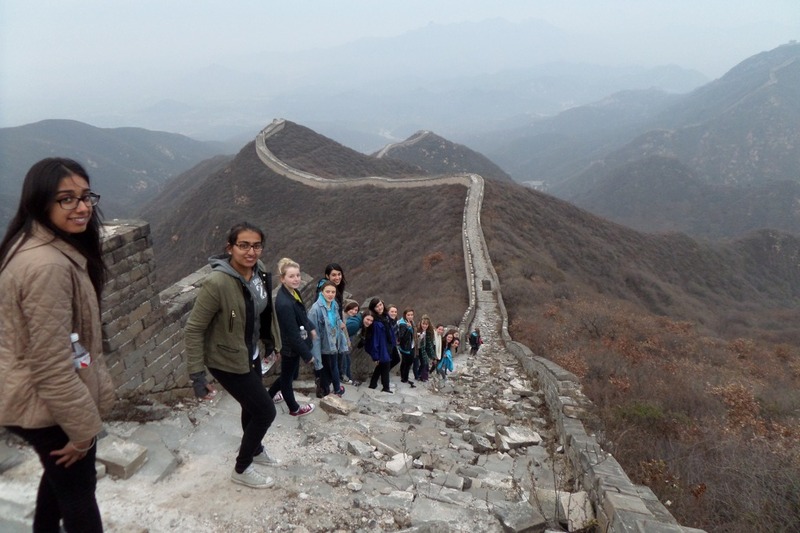 Hike along the wall as you take in the scenic view of rural China. Back in the city, attend a special lecture from a specialised speaker. Fast forward to the future as you pay a visit to a virtual reality company. Take a tour of their offices and learn about their businesses around China. In the afternoon, visit the scenic Summer Palace before voyaging on a wooden boat across the palatial lake. Finish the day with presentations about your new-found knowledge! It’s time to say goodbye to our guides and trip leaders as your transfer to the airport. Leave excited and ready to apply what you’ve learned about business and technology back at home!